Did Your Ancestor Leave You A Clue at the Cemetery? Did your ancestor leave you a clue at the cemetery? Mine did. Sites like Find-A-Grave and Canadian Headstones are great tools to use in helping us research our family but a trip to your ancestors grave could lead to more discoveries. What you don’t see in the pictures posted on those sites is the headstones surrounding an ancestor. I found the clues my ancestor left on a visit to a cemetery which I wouldn’t have found without being there. The trip took place in 1998 when my mother and I drove to Saskatchewan to discover more about her grandparents whom she had never met. They were all deceased so the trip would be to the cemeteries to pay our respects. Up until that point, I had done most of my research on my mother’s family by making phone calls, sending emails, applying for b/m/d certificates and visiting my local library & LDS Centre looking at census records. I was on a limited budget and working with next to no information (my mother knew very little about her family history). My husband agreed to watch our kids and my mother and I set off, loaded with maps and hope in our hearts. On our list was Indian Head, Saskatchewan (where her mother was from) and Yorkton, Saskatchewan for her paternal side. We hit up numerous antique shops along the way and enjoyed our mother-daughter time. Born Nov. 27, 1848 Died Dec. 27. 1916. This was puzzling, further investigation around the stones showed that there was a cement border enveloping the stones and a third stone that was David & Bridget Stewart’s daughter Violet. But who were these McGowans? Once we returned from our trip, I checked the Rootsweb mailing list for a surname mailing list for the McGowan name. These mailing lists were a great way for genealogists to be in touch before the advent of Facebook and more modern communications. So I joined the list and sent a query asking if anyone knew why the McGowan stone was close to the Stewart’s and if anyone knew of the connection. About an hour later I zipped back down to the basement to check and see if I had received a response, after waiting for the dial-up of our internet I saw that there was a reply from Dani Lee McGowan. Dani Lee had been to the same cemetery two years previous and took nearly identical photographs. 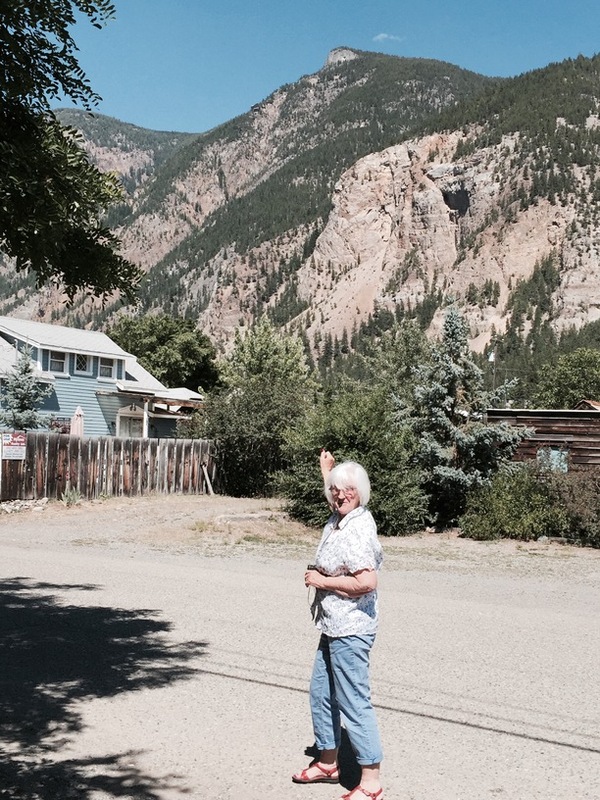 My mother Mary (Stewart) Dever is holding back the bush so we can read the inscription on Violet Stewart’s stone. This is the third stone enclosed in the cement border which you can see on the right. Dani Lee knew the families were connected, but she also questioned how. This began the start of a friendship and collaboration that continues to this day. I started researching the McGowan family and eventually found that we share a common relative, Mary Loftus. Mary was born about 1822 in Sligo, Ireland (not proven) and married Felix McGowan, either in Ireland or in New York. In 1839 their first child Bridget was born, and two sons John (1842) and Thomas (1844) arrived after the family moved to West Flamboro, Wentworth Co., Ontario. In about 1845 Felix passed away, the following year Mary who was a devout Catholic marries a Scotch Presbyterian in 1846. Enter my ancestor William Stewart who becomes a father to Mary’s children and together they have six more, James, Margaret, Alexander, David, William all born in West Flamboro. Mary Ann, their last child, was born in 1857 after the family moved to Ayton, Normanby Twp., Grey Co., Ontario. The flurry of emails between Dani Lee and I during this research period and discovery was almost daily. Every new discovery was celebrated, we were thrilled to have found our connection. 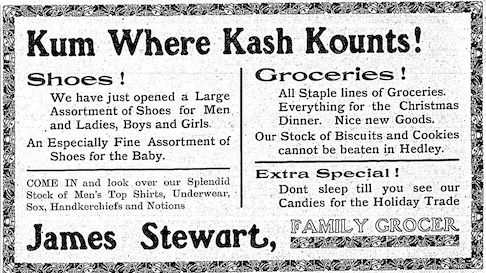 Evidently, our great-grandfathers David Stewart and John McGowan were close. They traveled from Normanby, Ontario settling in Manannah, Meeker Co., Minnesota for about 30 years, and later they both moved back to Canada and finally chose to rest side by side in death. Would I have ever discovered this without a visit to the cemetery? I may have, but I think it would have taken me a lot longer to figure out the connection and I would have missed out on years of collaboration with my cousin! Seeing the stones side by side was a big clue that these families were connected. The cement border indicating the shared plot drove home that I needed to spend time researching this family. My advice to you, take the time to visit your ancestors final resting spot and keep your eyes open for any clues the left you. Dani Lee and I have never met face-to-face but she has plans to travel to Canada this summer and I hope that we will be able to have a reunion that is 20 years in the making! We still have yet to find when our common ancestress Mary Loftus died. We know she was in Minnesota in 1888 according to “Illustrated Album of Biography of Meeker and McLeod Counties Minnesota” where she is mentioned in the write up for John McIntee, her son-in-law. Her next and last appearance is in the 1891 Canadian census where she is living with her oldest son James Stewart in Ayton, Ontario. That is the last record we have been able to find for her, someday we hope to find where she is buried so we can journey to her resting place and pay our respects. 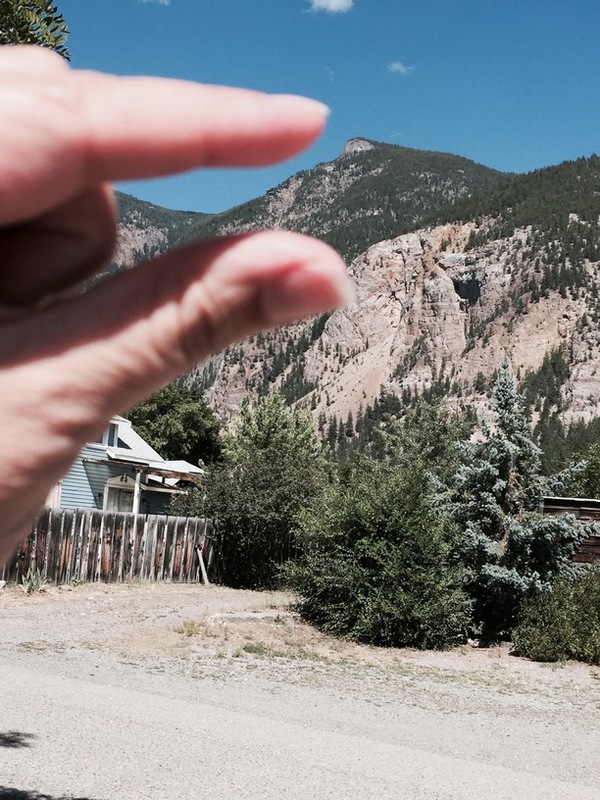 1906 finds both the James have relocated to Hedley, BC., a mining town. 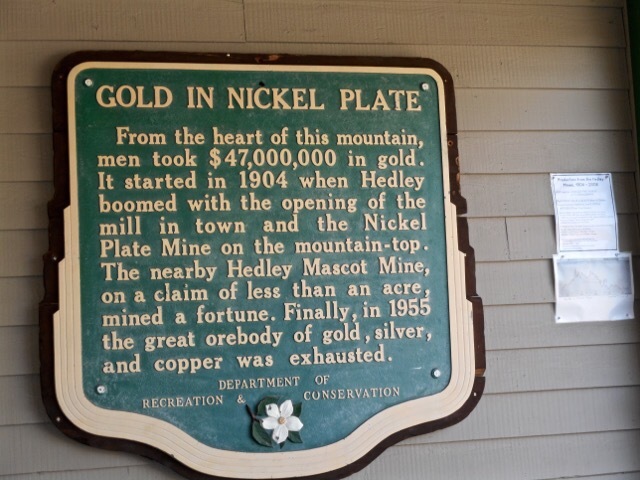 Gold was found close to Hedley in 1898 at Nickel Plate Mountain. 1903 saw a flurry of activity with men digging tunnels in the mountain. At its peak, the population of Hedley was 1,000 people but in 1915 it was in decline as there were under 400 people calling it home. 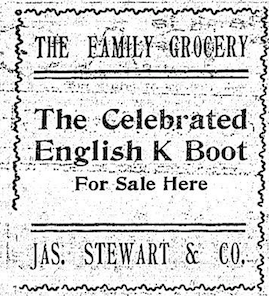 The newspaper was one of the best sources of information about James and his life in BC. For instance, I learned that in 1915 had him installing a new floor and shelves in a store upgrade, as well James regularly gave to the Patriotic Fund to support troops in WWI. There were trials as well, in 1909 he had a small roof fire that was quickly spotted and extinguished thankfully, and in 1916 $12.00 stolen from the till in his store. 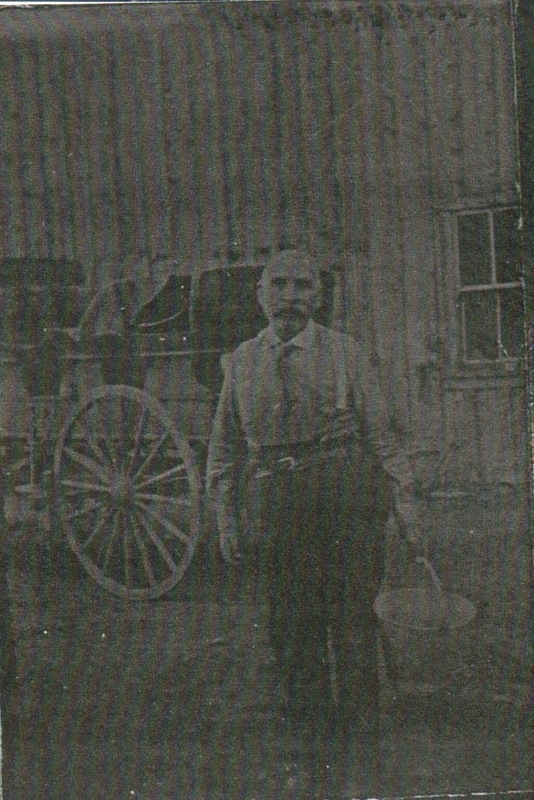 James’ nephew, James Cody left for Vancouver, B.C. 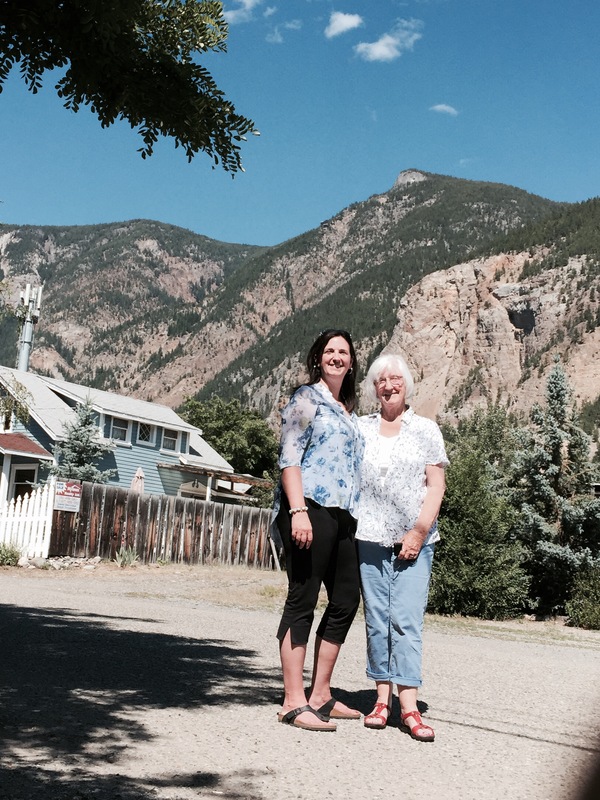 to fix his varicose veins and after went to Helena, Montana to visit family. He wrote back to his uncle and is noted by the newspaper. James lived an active life at the age of 67 years old he was still working at the diamond drill camp. He was injured when sitting on the edge of a tram car when the cables switched, and he was “sent spinning on the track.” Thankfully both James’ recovered from their conditions. 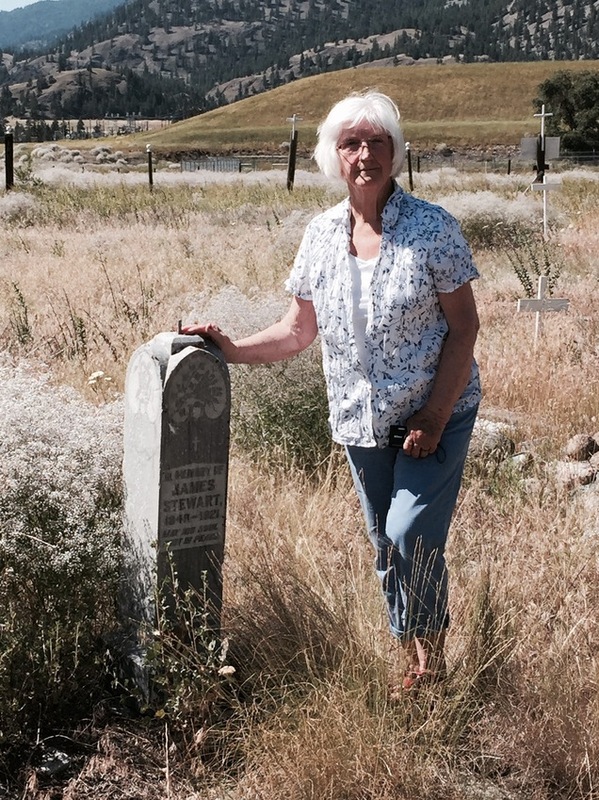 Mary (Stewart) Dever at the Hedley Cemetery, Hedley, B.C. June 2015.